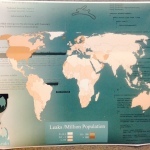 What happens in the lab; a showcase of GIS Student creations & other good stuff. Last winter, I was at the top of a run facing northeast at Kootenay Pass with six friends discussing our descent and the possibility of an avalanche. The Canadian Avalanche Association puts out daily avalanche bulletins, or forecasts, for broad regions across Canada. Kootenay Pass is officially in the Kootenay-Boundary forecast region. The bulletin area covers many different mountain ranges where weather patterns are unique to each mountain. I read the avalanche bulletin for the Kootenay Boundary region before heading out that morning. The bulletin that morning had a special notice for this area that described slopes that face northeast as having an exceptionally high probability of producing an avalanche, either naturally, or triggered by a skier on the slope. We all agreed for one of us to cut across the top of the slope to perform a ski cut and then we would dig a pit on the slope we were going to ski. The ski cut did not produce any results. We dug a pit in the snow and were confident in the snowpack that it would not slide. The special bulletin was still in the back of my mind but local observations trumped the bulletin and the special notice. 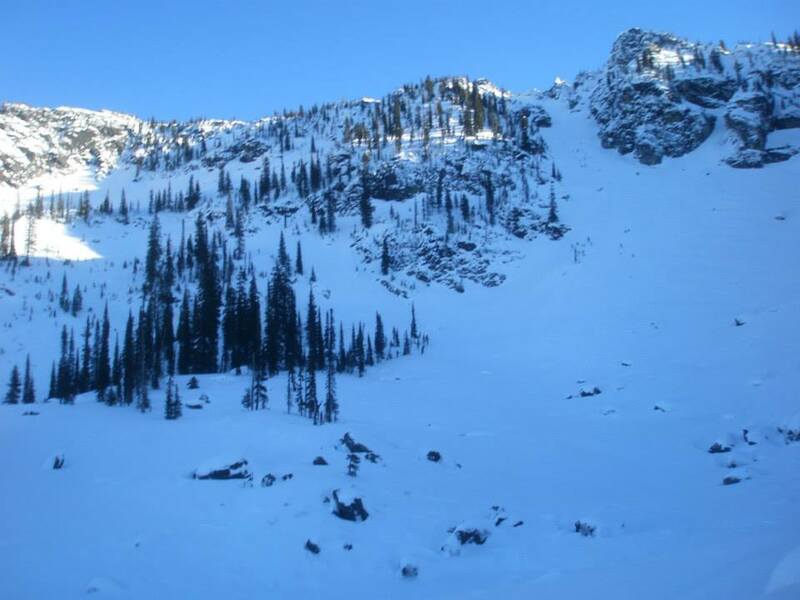 A local avalanche forecast for this particular slope on this particular day would probably not have included that special bulletin and would most likely be very different than the avalanche forecast for the Kootenay Boundary Region. Each slope is unique to the set of conditions for an avalanche to occur. Many variables go into producing the right conditions for an avalanche. The GIS world has been working on trying to model avalanche slopes and combine that with historical data and weather models to produce avalanche forecasts. This has produced some very encouraging results. 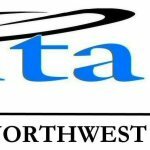 Through www.avalanchemapping.org, an online GIS resource has been created for analyzing avalanche slopes in the state of Colorado complete with an online interactive map for Colorado as well as historical information for each avalanche slope registered. New Satellite technology producing high resolution optical satellite imagery has also been used through mapping differences in surfaces to detect where avalanches have occurred and their extant (research can be found here ). Through these efforts, further snowpack analysis, and online collaboration of local observations collected through geodatabases, I feel that one day we will be able to get highly localized avalanche forecasts. The decision was made for us to ski down this slope one at a time. We skied down and all had a fantastic run down. I would consider it one of the best runs of the year. It was a long descent with lots of soft powder that ended in a gentle slope through some old growth trees. Amazing! 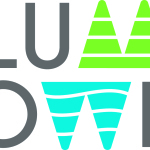 * additional note, new to Avalanche.ca, observations and reports can be made by anyone, read more about it in the blog post here. our current ADGIS student showcase! It’s been one heck of a busy semester (again! ), students are finally done exams and final projects and most are en-route to a holiday destination until January 5th, when we start a fresh new semester and new year. As part of our New Media class, students generated website blogs to host their developing GIS portfolios and to share a little more about themselves. 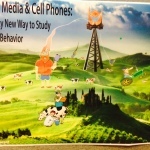 Please take a cruise around our 2014-2015 student showcase to learn more yourself! If you have any questions about working with any of these students, feel free to contact Tracey Harvey (GIS instructor) or Brenda Smith (co-op coordinator) for more details. Have a great break everyone, and see you in the new year! 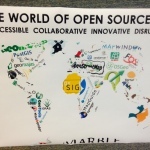 Thanks for the great GIS Day, 2014! 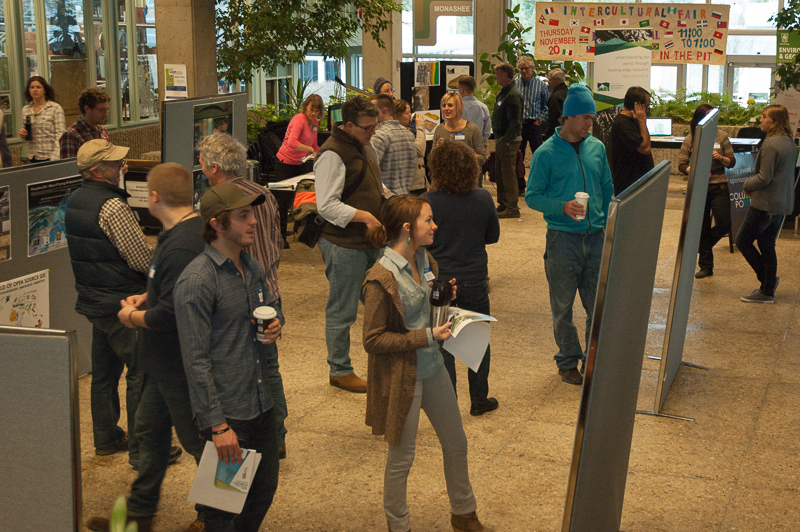 We are pleased with our turn-out of around 100 people who joined us for GIS day this year! 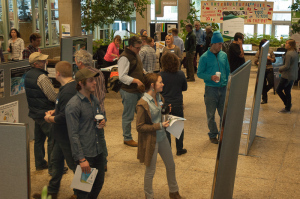 Attendees included local GIS professionals, GIS students, potential students and GIS instructors. 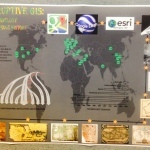 We had a great poster presentation session by our current ADGIS students on the topic of disruptive GIS. 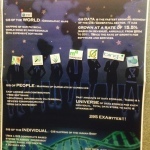 There was a variety of posters to check out showing the vast interpretation of “disruptive” when it comes to technology and innovation. Barb Robitaille’s ! 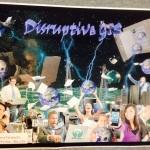 Hers is one of the samples below and appropriately titled Disruptive GIS! We were honoured to have our key note speaker, Dr. Jon Corbett join us to discuss his take on disruptive GIS and to share the research he is doing nearby at UBC-Okanagan. He certainly inspired many of us to check out geoguesser! A tasty lunch was provided by Ripple Cafe , followed by three short talks in the staff lounge; the first by Peter LeCouffe (an ADGIS grad from last year, and partner at Harrier Surveys) who discussed how he captured a 3D point cloud of our campus with his new drone, next was Bart Fyffe from RDKB (an ADGIS grad from 2013) who shared his thesis on how he derived fire susceptibility of homes in Castlegar and finally, Suzanne Ector from the SGRC shared her recent work on the employment lands project in partnership with the RDI. We would like to thank our sponsors who helped make the event happen, and look forward to making next year’s GIS day even better. How do you find and protect an animal whose conservation status is listed as “Endangered”, which hides during the day in dens and dense bush, is active after dark but roams up to sixteen kilometers in search of food during that time? And to make matters more difficult for this creature, a terrible disease spread through biting is devastating the population in the only known place on the planet they exist. I’m referring of course to the Tasmanian Devil, one of Australia’s unique and wonderful marsupials that was once extant on the mainland but has for the past four hundred years, been confined to the south-eastern island state of Tasmania. Another technology that is invaluable in the monitoring and tracking of endangered species is GPS tagging. Tagging allows scientists and conservationists to monitor animal behavior, hunting trails, and even the model and shape of a burrow, or a nest! To further protect animals, whether endangered or not, a future technology for vehicles could include GPS and automatic collision warning and braking systems to pick up the GPS signals from the tags of nearby endangered or wild animals. This would not only lead to a dramatic decrease in vehicle-animal collisions but could also lead to lower auto-insurance premiums! I often wonder if modern day technologists take the time out of their busy schedules to think back to when GIS started. Before satellites, GPS, computers, and accessible data; the days of historic GIS. Can you imagine waking up in the morning not knowing what shape the earth is? Feeling like you know land is out there, but not sure where? GIS started with cave paintings and rock carvings – hard to imagine as we sit at our computer desks viewing Russia with little effort. It continued to the next level by curious scientists, scholars, mathematicians, and explorers. Because of their dedication to discovering the world, we now know the shape of the planet; we’ve become more informed and analyzing data has become easier because of historic GIS. One great example of the first uses of GIS is by Dr. John Snow, a physician back in the 1800’s who traced the source of a deadly cholera outbreak on a hand drawn map. While everyone believed it was transmitted in the air, Dr. Snow’s suspicion that it was a water borne disease lead him to map the city, and place marks at the location of every death. In short time the hand drawn maps indicated there was a suspect water pump right in the middle of all the deaths, which turned out to be the pump with contaminated water. This discovery saved many lives. That’s a pretty amazing use of maps and analysis of spatial patterns before any electronics could help! It was the rapid development of computers in the 1980’s and 90’s that enabled GIS to grow exponentially to what it is now. We should be grateful for open data, the internet, and the software developers that make our jobs a little easier. But most of all, I feel that we should honour the pioneers and great minds who started the legacy of GIS. They helped shape what it is today, and their roots still go deep in today’s technology. A growing market for drones is in the agriculture business. It has never been easy for farmers to obtain real-time data but with the help of drones they will be able to monitor their crops better than ever before. Previously, a farmer would have to walk the entire expand of his crops to gather any of the previously mentioned data, which could take anywhere from hours to months to accomplish. When a drone flies over a field, not only is it taking images of the fields but it is also actively scanning for problems in the field. They are at the point now where some types of drones do not need a controller on the ground; they are just set to scan over a certain area and they go out and collect all of the data and come back. Plant counting can be accomplished and give the user information on plant size by individual plant, row, plot or field. It can also determine plant uniformity and yields at an early stage. 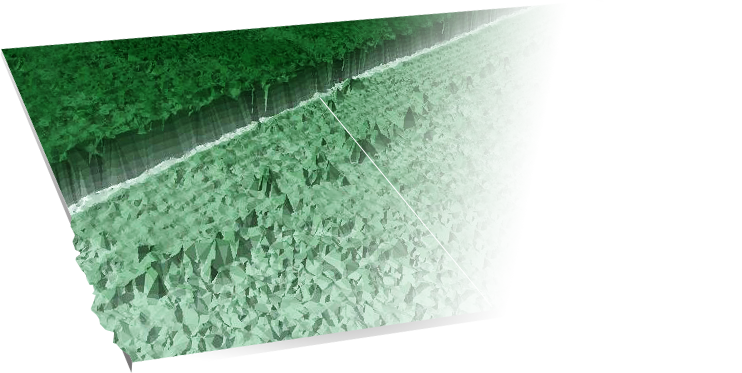 Canopy cover and season monitoring can give the user a picture of the changes and patterns in stages of growth of their fields. The most important data that can be extracted from a drone lies in the health of their crops. They can identify crop stress, track rogue plants and detect early infestations which can be correlated to weather patterns and changing environmental conditions. They can examine anomalies in the field linked to weeds, and companies like Precision Hawk are working on cameras which can ‘see’ to a plant’s sub-cellular level. That will allow farmers to detect disease in a plant before it shows any visible sign. Drones are quickly becoming a popular tool for large scale agricultural businesses and the initial cost is well worth the data that can be used to fine tune production. The data received from these drones is compatible with a variety of mapping software such as: AutoCAD, ArcGIS, Google Earth, erdas IMAGINE, Quantum GIS, and Global Mapper. No matter the level of geospatial knowledge, data obtained from a drone can be highly useful in crop management. Some interesting Canadian manufacturers of drones are Precision Hawk out of Ontario and Sky Squirrel Technologies from Nova Scotia. ADGIS BGIS Cartography Cartoon Christmas Break cloud computing Communicate GIS Crowdsourcing Data Define Geography Define GIS detective intelligence Forestry Diploma Fun GIS Class Future of GIS GIS for public health GIS graduates GIS Industry Outlook GIS Industry Trends GIS job market GIS jobs GIS taglines Grads Innovation Integrated Environmental Planning Diploma Kuali Foundation Last day of classes Learning midterm map Open Data Open Source Photoediting Photograhs Photograph Photoshop Professional Development Program Collaboration Project Management Recreation Fish and Wildlife Diploma Research Student Website student work Understand the world Visual communication What is GIS?